It would be hard for ski enthusiasts to find a property as superbly located as this – it is literally at the base of the mountain in Teton Village. 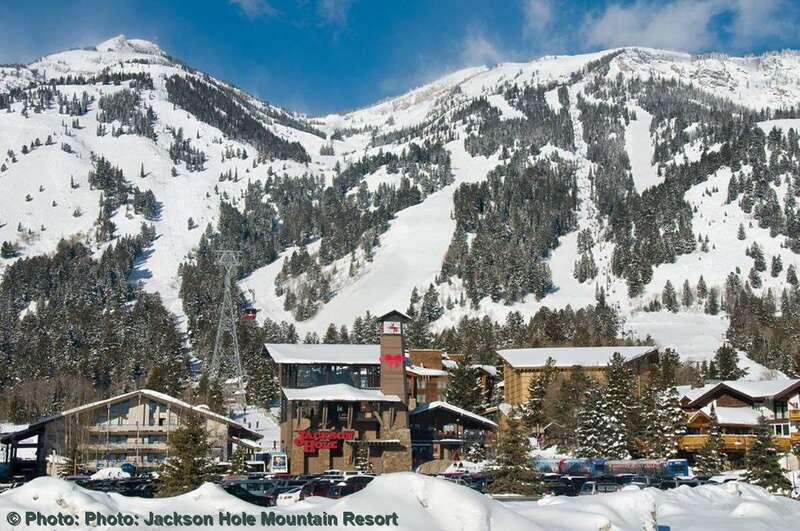 The bus to the town of Jackson Hole stops nearby to take you into town for shops, bars and restaurants while Teton Village itself also offers a variety of choice. Beautifully furnished and designed in a rich western décor, Snake River Lodge offers a warm and welcoming atmosphere. Room types vary from lodge to 3 bedroom suites all of which are elegantly decorated to a high standard. All rooms are elegantly decorated to a high standard and in a western style. The rooms vary in size from lodge rooms (1 king or 2 doubles beds) to luxury rooms, executive rooms and 2 or 3 bedroom suites.Room types vary from a lodge room that can sleep up to 4, to 3 bedroom suites that can sleep up to 6 people all of which are decorated to a high standard. All bathrooms have granite countertops, full bath, and vanity mirror.